Betty Adcock does. Over and over, her poems offer the “instantly unforgettable,” lines that enrich rather than deplete from rereading. 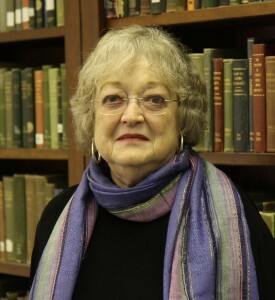 Betty Adcock was Writer in Residence at Meredith College in Raleigh, where she taught until 2006 and twice held the Mary Lynch Johnson Professorship. She is the author of six poetry collections and the recipient of two Pushcart Prizes, a Guggenheim Fellowship, and the North Carolina Medal for Literature, among many other honors and awards. It’s no coincidence that Adcock’s description of craft parallels the creative process described by many jazz musicians. Don Adcock—her late husband of more than fifty years—played both classical and jazz flute. Courtesy of Durham County Library and Jacar Press. Click here to read James Applewhite’s introduction for Betty Adcock, Sunday, October 12, 2014, at the Weymouth Center for Arts & Humanities in Southern Pines, NC. Read this profile of Betty Adcock, written by Sam Stephenson, for The Paris Review. Read this interview with Betty Adcock in Cerise Press.